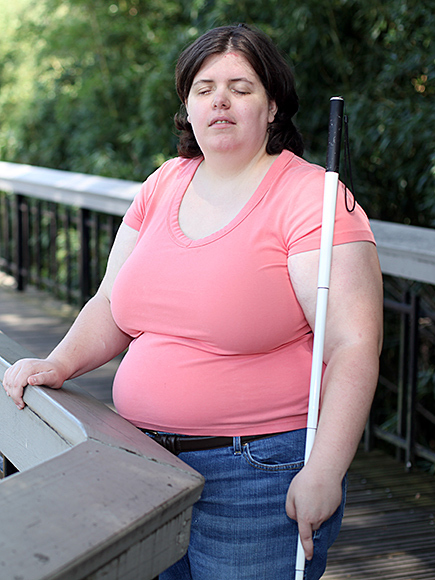 Secular Pro-Life Perspectives: Woman blinds herself with doctor's help. Her body, her choice? Woman blinds herself with doctor's help. Her body, her choice? A North Carolina woman says she is happier than ever after fulfilling her lifelong wish of becoming blind. In 2006, Shuping found a psychologist who was willing to help her become blind. The psychologist began putting numbing drops in her eyes, followed by a couple of drops of drain cleaner. “It hurt, let me tell you. My eyes were screaming and I had some drain cleaner going down my cheek burning my skin,” she told Barcroft TV. “But all I could think was, I am going blind, it is going to be okay.” It took about half a year for the damage to take effect. The reaction I've seen on social media has been one of horror, particularly when it comes to the psychologist's involvement. (The Independent reports that "the psychologist was not named and it is not known if they are facing prosecution.") And it appears that pro-life and pro-choice are in agreement for once; the commenters on the (extremely) pro-choice site Jezebel are just as horrified. You know what? Her eyes are part of her sovereign zone. Her body, her choice. I was a psychology major in college. My mom has her master's in counseling. I am thoroughly aware that this unnamed psychologist (assuming he or she exists) is in wild breach of all sorts of ethical boundaries for the profession. But hey, some doctors kill in the name of bodily integrity and are lauded as heroes! This one merely blinded someone. (With consent, I might add, which the abortionist's victim can't give.) So what's the big deal? Jane decides to chop off the legs of her embryo, at week 7. Believing that Jane has the right to choose what happens to her body, Dr. John, with help of modern technology, performs the operation and chops the legs off Jane's embryo. In week 10, Jane decides to chop the hands of off her fetus and Dr. John again performs what he reasons to be Jane’s personal choice and right. Taking it to an extreme, Jane decides to pluck her fetus’ eyes out. I'll refrain from continuing this gruesome tale, but it ends in one of two ways: Jane finally decides to have an abortion, or Jane decides to give birth to an blind, amputated child. This second possible outcome reveals the obvious fact that Jane's actions were not done to her own body, but to the body of another individual. At the time, it was just another outlandish thought experiment, joining famous violinists and kidney donation mix-ups and all the rest. Now, I'm not so sure. A few news reports indicated that Ms. Shuping is dating a man who is blind as a result of natural causes. What if she wants to ensure that they have a blind child together? Obviously she can't blind her child after birth without risking criminal charges. But before? The lack of adequate technology could be the only thing stopping her.